Get away and stay in the middle of all that Scottsdale has to offer at the Andaz Scottsdale Resort & Bungalows. 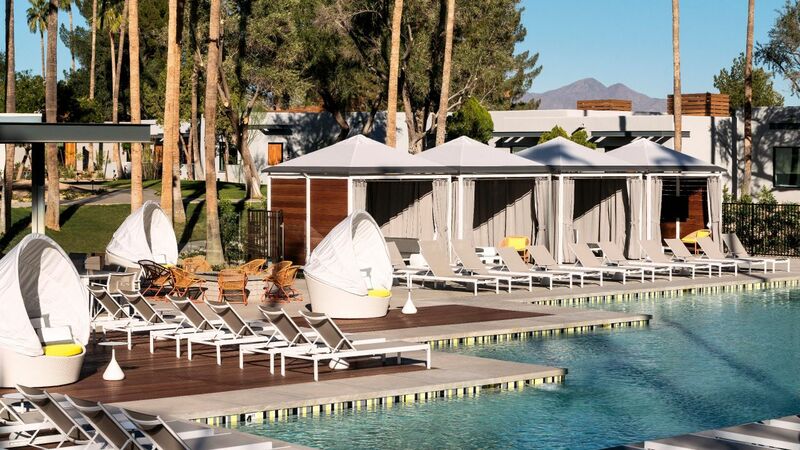 With picturesque Camelback Mountain as the backdrop, enjoy eclectic mid-century modern design inspired bungalows, vibrant dining experiences, and a serene spa. Escape and rejuvenate at our luxury urban oasis and discover the allure of the Arizona desert. Зоны для отдыха общей площадью 3345 кв. м.